Do Your Kids Listen To This Stuff? Truth be told, my four children listen to metal in varying degrees. My 15-year old is as metal as it gets. 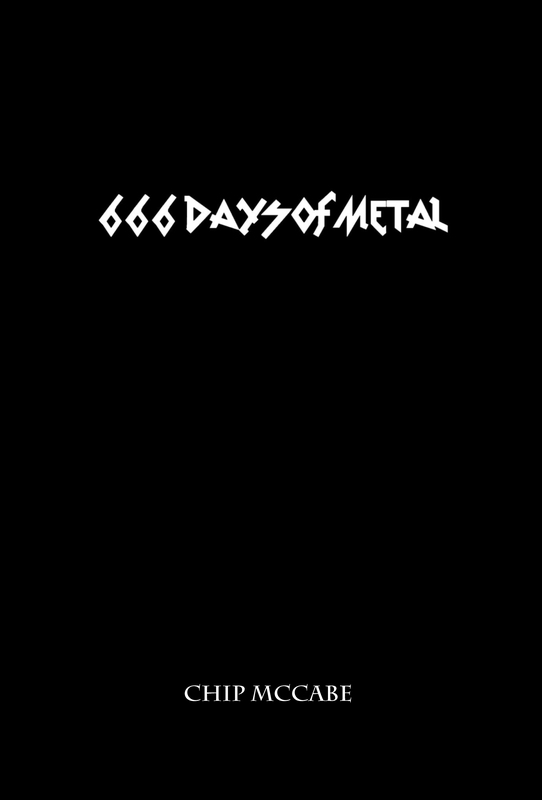 She wears her own “battle vest” to school (more on that in another post) and has an iPod filled with some pretty extreme bands – Slayer, Celtic Frost, Amon Amarth, Amorphis, Soilent Green, EyeHateGod, Coalesce, etc., etc., etc. She got her school picture taken today and will be appearing in the Greater Hartford Academy of the Arts High School Yearbook…in my old Neurosis hoodie, under which she had her, very loved, Iron Maiden t-shirt. She’s attended more metal concerts at 15 than I ever could have, and she constantly tries to steal my copies of Decibel and Terrorizer magazines before I’ve had a chance to finish them. My 11 and 9-year old children have more discerning tastes. Their metal palate isn’t nearly as defined and part of that is because I simply haven’t spent the time to help them develop it yet the way I have with my oldest, and a lot of that has to do with their ages. One of the questions I’m always asked about kids and metal is how do I handle subjective subject matter or artwork. The answer to that question is: carefully. I don’t now, nor have I ever, taken lightly the impression that literally everything leaves on a young child. So while I have no problem throwing “Chopped in Half” by Obituary on the 15 year old’s iPod, its not something I’d do for the 11 or 9 year old just yet. If anything I’ve erred on the side of caution maybe too much when it comes to music, movies, video games, etc. My oldest took to metal very quickly and started liking bands like Megadeth and Metallica at a fairly young age. The first time I attempted to introduce anything with gruff/growling/screaming vocals the now 11 year old didn’t like the “scary” vocals so any band that fell under that category was banished to my headphones, my desk at work, my car stereo on solo trips, etc. 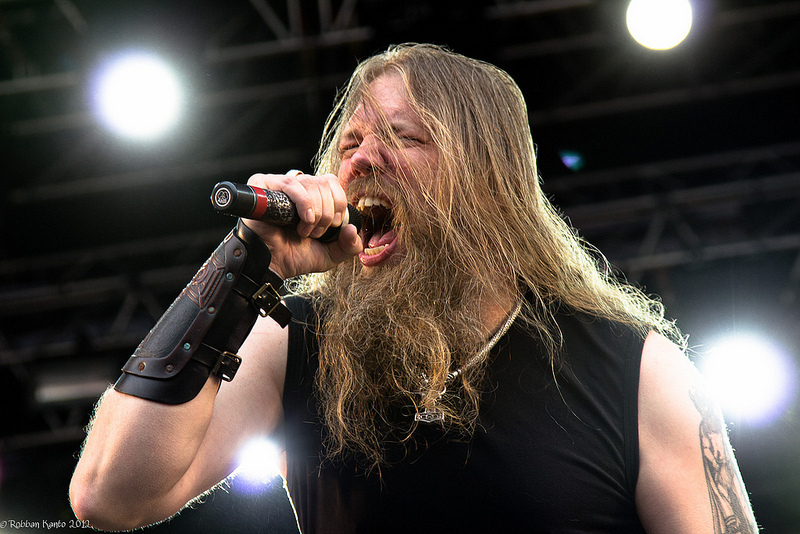 It wasn’t until somewhat recently, when the 9 year old started his fascination with Vikings, that I was able to introduce them to Amon Amarth. The Viking imagery and melodic approach to death metal was a hit with all three of them. While neither of the younger two listen to a ton of extreme metal, Amon Amarth still elicits headbanging and some pretty epic windmills. My oldest has seen them in concert twice already. Ask her what one of her biggest life thrills has been and she’ll tell you about the time she met Johan Hegg, Amon Amarth’s vocalist. He was actually really nice in person. All three of my older children have been exposed to, and are fond of, massive amounts of music. My all-time favorite musician is Willie Nelson and my house has been filled on countless days with the rambling good times of Willie, Waylon Jennings, Johnny Cash, Buck Owens, Patsy Cline, Loretta Lynn, and loads of other classic country music. (You will NOT, however, here any of the garbage they call country on mainstream radio these days.) Classical music, the blues, jazz, bluegrass, indie rock, classic rock, 80’s pop, you name it we’ve probably spent time as a family listening to it. One of our favorite past times has been to troll the 40 or so music channels included on our cable system looking for something to stop and rock out to. The family that listens to music together…is cooler? Likes each other more? I don’t know the exact answer to that but certainly there is evidence of bonds being formed over certain songs or artists. My kids and I have bonded over some amazingly diverse music, even some of the better local acts here in CT, including an amazingly talented singer/songwriter by the name of Canyon and a killer prog-rock band called 1974. Give them a listen. They’re both fantastic. But, much to my wife’s chagrin, metal rules the roost. 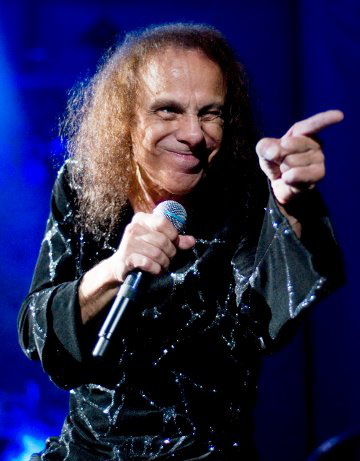 Ten or so years ago my oldest child stood in front of about 40 people at a BBQ in our backyard and lip-synced to Dio’s “Holy Diver” complete with an amazing “Dio finger point.” I was giddy as a school girl while I’m pretty sure my wife wanted to curl up under the lawn and die a slow death of embarrassment. The one band that all three of the older children love beyond a shadow of a doubt is Iron Maiden. This makes complete and total sense to me. They are extremely accessible as far as metal goes and all of those major chords and galloping rhythms they play have a pretty upbeat vibe to them. The number of Maiden sing-a-longs in my house has gone beyond a number worth counting anymore. 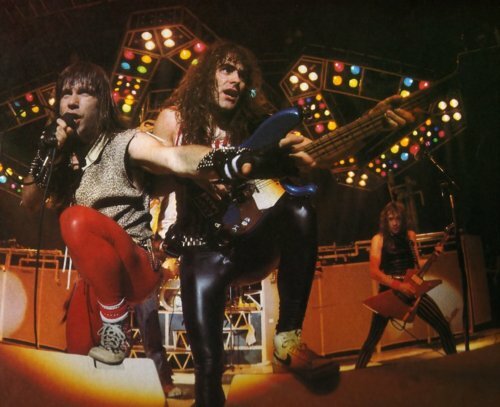 Iron Maiden was always one of the first metal bands I would introduce one of the kids to and Iron Maiden is the be-all and end-all for metal in my house, although Judas Priest, Dio, and Black Sabbath certainly have their places high on the metal food chain as well. What sealed the deal, especially for my 9 year old was the day they came home from the park to find me watching Live After Death. Seeing Maiden live, with the pyrotechnics and giant Eddie mummy for effect was just mesmerizing to them. It was a pretty special moment in time for me and one I will never, ever forget. Metal is simply a part of our family the same way Deadheads make the Grateful Dead and every other Dead rip-off a part of their family, or the way reggae becomes part of someone’s family, or hip-hop, or anything else really. Run To The Hills kids! Me: You know, you should really listen to Opeth. I think you would especially like the mellower parts. Wife: Ugh. Do they sing about dragons and wizards and all of that? I hate that crap. Me: No…no they do not. Wife: Yeah, I still don’t care. If that’s not living proof you can love someone unconditionally while they are openly hostile to your favorite form of entertainment then I don’t know what is. This guy does sing about dragons and wizards. Excellent. Back when my kids were 8 & 12 (in their mid 30’s now), they use to listen to Iron Maiden, Metallica, Megadeth and more as they rode their bikes and skateboards … some people thought I was crazy for letting them listen to that stuff, but what they didn’t know was they also listened to Santana, Boston, Edgar Winter and assorted LP’s that I had. The variety of music they listened to helped mold them when they played their instruments (bass and drums). Even when they played in a hip-hop band, you heard the many influences they had. Your post got me to remember all the music we learned. Keep it up Chip! Thanks for reading Mike and sharing your story too! This entry really put a smile on my face Chip. I grew up in a hours where music was the end all, be all. My father, the was the classical, jazz and blues music man. I can remember he and I sitting in his car on Tuesday nights while my brother was at piano lessons, and we would listen to the classical music station. He would tell me about all of the composers. He would let me make up stories about what I was imagining while listening to it. It was time together that I cherish to this day. My mother on the other hand, she was the hippie. Janis, Jimmy, Led Zepplin were staples in the house. She would take me to the music store, and let me pick out tapes for us to listen to. I remember being 4 or 5 years old and listening to Metallica with her for the first time, same goes for RHCP and Madonna. Growing up while all the kids were listening to NKOTB, I was memorizing the words to Peter, Paul and Mary, and Simon and Garfunkel, Tammy Whynette and Queen. My brother, his love and musical knowledge goes even deeper than mine, and we are constantly sending each other bands and songs that we think the other would like. Music really helped keep us close, even during the awful teenage years when we hated everything else about each other. The long and short of this post is, it makes me really happy to see a family bonding over music. It is a lost art. I am so glad you shared this story, and I look forward to continuing to read your blog. Thanks. Thank you so much for sharing those memories. I loved hearing them. And thank you for reading! Hopefully you find some other posts you love. Cheers!